Jammu, March 27: Sh. 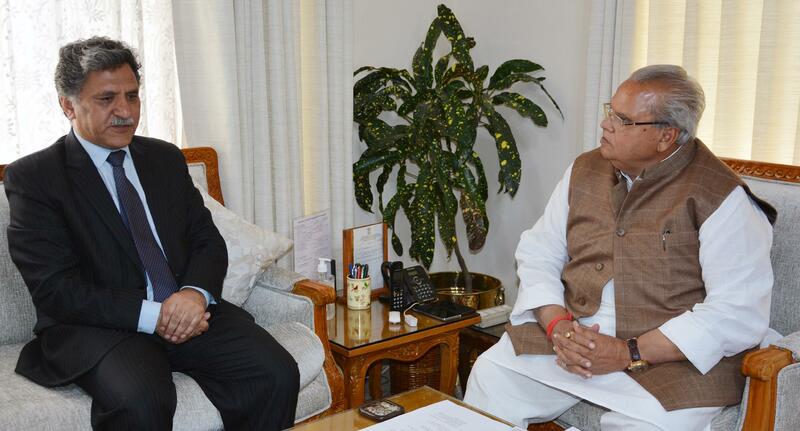 Khurshid Ahmed Ganai, Advisor to Governor met Governor Satya Pal Malik at the Raj Bhavan here today and briefed him about functioning of various Departments assigned to him. Governor and Sh. Ganai discussed various issues of administrative importance.